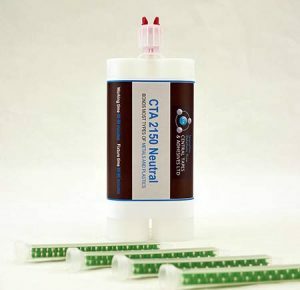 Two part structural adhesive 2150 is an acrylic adhesive and part of our structural bonding range. This product is often specified when bonding aluminium (and other metals) joints together in architectural cladding applications. This product is also often specified when bonding composites or metal brackets to GRP / FRP composite structures within the marine industry, such as on yachts. This product is available in 50ml and 400ml. This adhesive is capable of bonding aluminium, steel, engineered plastics and composites together. Two part structural adhesive 2150 has high temperature resistance, tensile and shear performance. Our acrylic range is also capable of filling gaps up to 10mm whilst maintaining the adhesive’s structural strength and characteristics. We also have available two part structural adhesive 2105 (5 minute working life and a 12 minute fixture time) and two part structural adhesive 2120 (12 minute working life and a 20 minute fixture time). A methyl methacrylate is the methyl ester of methacrylate acid. Its primary use is to manufacture a number of different plastics, but it is also the main ingredient in our range of adhesive products. The unique chemistry of our two part structural adhesive 2150 is unrivalled in terms of convenience, ease of use and superior mechanical strength. Use for bonding engineered plastics, composites, steel, aluminium and other alloys. Our two part structural adhesive 2150 has a 50 minute working life with a 80 minute fixture time. Before dispensing, ensure that surfaces are clean, dry and free of any dirt, dust and grease. For the best results, we recommend using CTA IPA Cleaner Degreaser. For more information, read our two part adhesives FAQs and guide to surface preparation for adhesives and best working practice. Our two part structural adhesive 2150 is available in white, in 50ml and 400ml, for use with manual or pneumatic applicator guns and nozzles. If a larger volume is required, we are able to supply 20 litre pails and 200 litre drums, which also require bulk dispensing units. Trial kits are also available for this product. For more information, please contact us. All prices are inclusive of VAT. 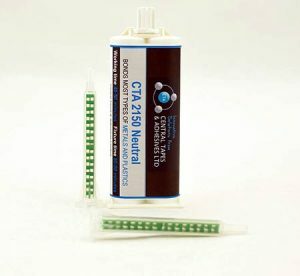 Two part structural acrylic, Two part structural adhesive. permalink.